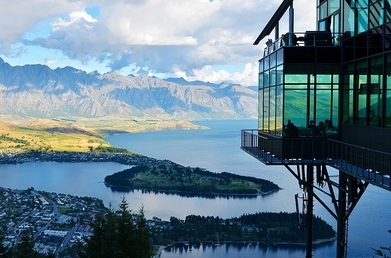 Did you know New Zealand is the home to many Hollywood movies? If you fancy spending your days off amongst staggeringly stunning scenery and great views, or soak up some sun on an untamed black sand beach with craggy coves and clifftops, New Zealand could be a perfect choice. There’s plenty of natural beauty to discover, from volcanoes, glaciers, rainforests, geysers, and hot springs. The 2017 Institute for Economics and Peace Global Peace Index saw New Zealand move up to second place in the State of Peace reading, to reside just below Iceland. Just for reference, the UK came in at 41, and the US resided at 114. The top five peaceful countries were Iceland, New Zealand, Portugal, Austria, and Denmark. If you’re imagining long walks across soft sand beaches, New Zealand can certainly offer that. In fact, you could be in for a long walk as New Zealand doesn’t just have beaches, it has stunning stretches of sand that reach up to 66 miles long! What’s more, you can only ever be around 80 miles away from a sea in New Zealand and there are a host of beautiful lakes scattered around the nation too. If you want to spend time learning lots of water sports, why not buy a nice place on the water? If you need help transferring money overseas for a property purchase, take a look at our buying abroad page. If you’ve ever wanted to see the haka performed or spend time learning about traditional Maori customs and protocol, why not do it in person? There’s around 700,000 Maori people in New Zealand, and you’ll be able to experience the combination of European and Maori culture in everyday life. You’ll find the Maori language is used for day to day greetings and places have two names, one of which will be in Maori.